I was addicted to the song when it released. One of those songs which you’d hum to unknowingly. Made every auto driver proud, didn’t it? Ghilli repeats the magic even after all these years! 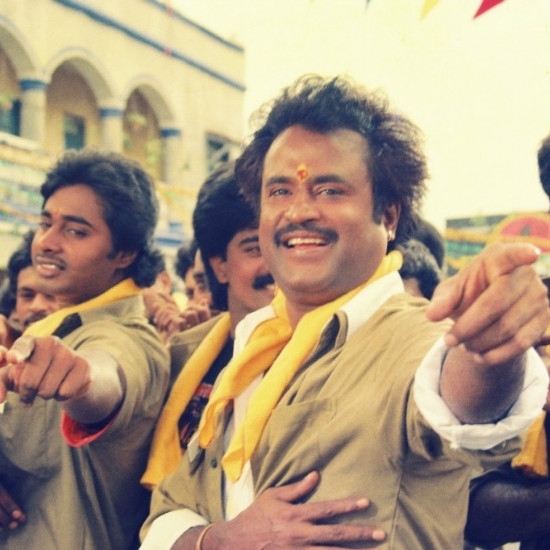 Superstar Rajini to revisit his GANGSTER days? Suriya to do a Baasha? NERUPPU DAA for Thalaivar, THERIiii for Thalapathy & for Thala? This page hosts a weekly slideshow related to Tamil movies. Each slide includes a picture and some description about that picture. All the slides will have a recurring theme. People looking for actress stills, actress images, actor stills, actor images, movie stills, movie images, and other interesting topics, relevant issues in Tamil cinema will find this page useful. Baasha - Auto Karan | Exclusive: Arunraja Kamaraj's "Neruppu Da!" playlist of Thalaivar songs.